Few activities in Scouting create more good feelings than community service for a good cause. Being a NY-based scout troop, very few events resonate more in the minds of all residents than the catastrophic events of 9-11-01. 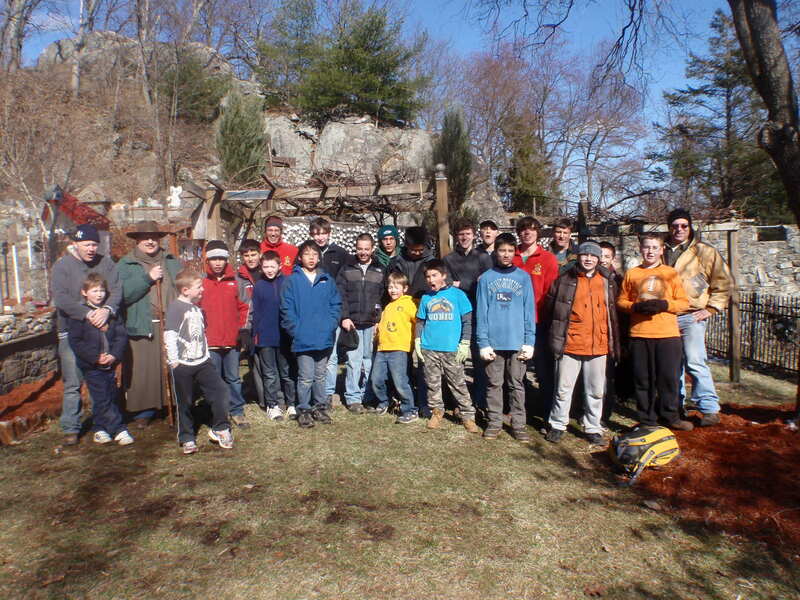 The year 2011 marked the 10-year anniversary of this tragic event and so it was with extra care and diligence that the scouts of Troop 353 Eastchester approached their annual spring cleanup of the 9-11 prayer gardens at the Graymoor Monastery. Knowing that hundreds of people from all over the world would be prayerfully standing in the same place as our busy hands were working added an extra element of reverence to our labors. Scouts worked sometimes in silence, at other times happily basking in the warmth of life, but at all times with great purpose. The day was also special in that our former SM T. McCandless brought his daughter to the worksite, after having just arrived home from spending 2 months in the hospital recovering from major surgery. “Special K” has been to many scout outings and deserves as many scout patches as most of the other boys, but that cold day in early March was a particulary memorable one as it marked the beginning of her return to a somewhat more normal resumption of daily activities, which includes a healthy dose of scouting activities! For a look at our Scouts in action, click here!